Although we would all like to maintain the smooth and vibrant appearance of our skin, our skin will develop fine lines and other signs of aging as the years pass. 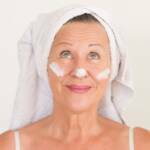 Even though nobody can stop the signs of aging forever, the good news is that you can do several things to keep your skin looking fresh, young, and vibrant for much longer. Eyeshadow has been around for at least 12,000 years, but it’s come a long way since ancient Egyptians invented the smoky-eye effect. Given the variety offered by Too Faced, Lorac, Tarte, MAC, Smashbox, and dozens of other manufacturers, you can get just about any look you want. While it’s true that a full one-third of women refuse to appear in public without makeup and one-quarter of teen girls are wearing cosmetics by their thirteenth birthday, purchasing products can be expensive! 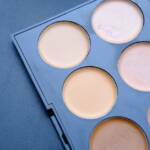 In fact, the cosmetic industry sells almost $57 billion in products every year, so women clearly find makeup worth the expense – despite the fact that a single high-end cosmetic product can cost $50 or more. If you’re like most people, you probably use the same shaving cream you always have when your habits have changed significantly. It’s not only common to shave the face and legs, but more people than ever are shaving other body hair like on the back and chest, so using a shaving cream that works for your skin is important. As of 2017, more than two-thirds of American households used body wash, and the numbers are projected to grow over the next decades. In fact, of the over $3 billion spent on soap products every year, a full 87 percent of the items purchased are liquid soaps. The rise in body wash sales isn’t surprising when you consider the average American lifestyle.